Kaijû! 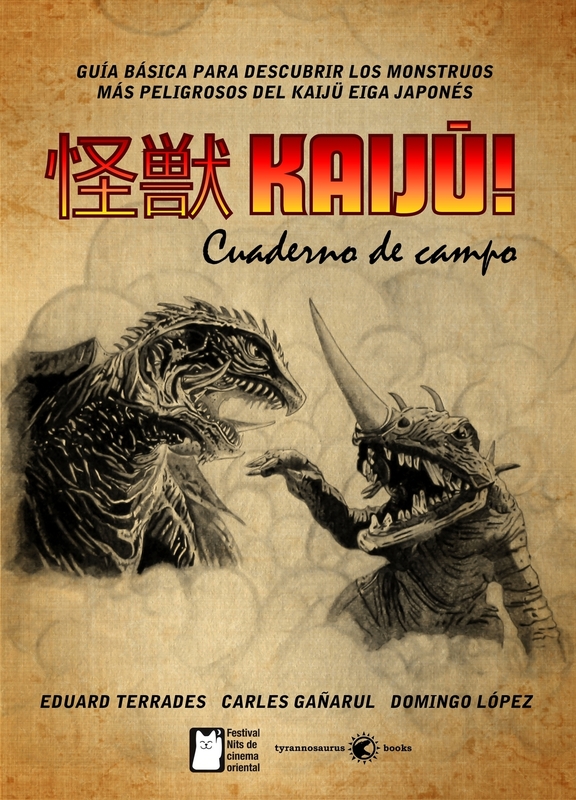 Cuaderno de campo offers a new approach to the legendary cinema of Japanese monsters. Not only it focuses in films and directors but also in the main stars: the beasts. It’s been written by Eduard Terrades, illustrated by Carles Gañarul and coordinated by Domingo López. They all have created extensive fact sheets about the life and world of ten monsters. Very detailed illustrations explain their physical particularities and there are also film analysis and articles about this film genre. It has counted with the collaboration of several Asian Film specialists and it contains a wide selection of photos and classic film posters.